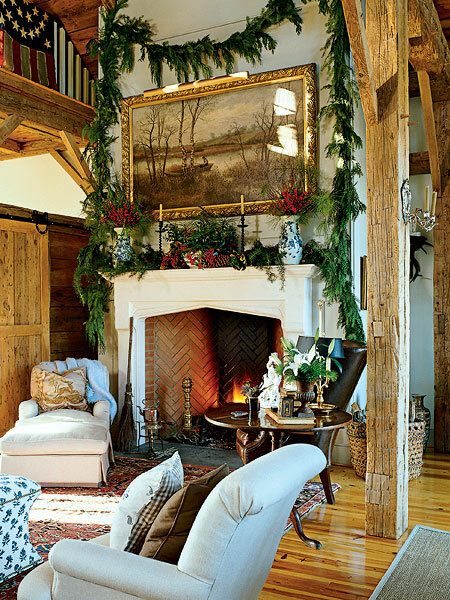 There is really nothing more beautiful to me any time of the year than natural elements for decorating. 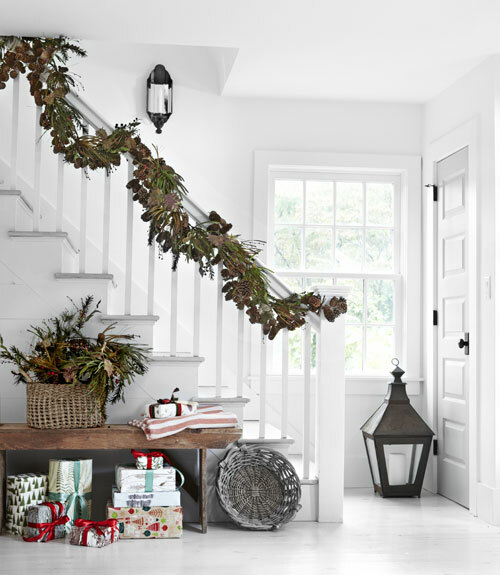 And Christmas time is no exception, there is something wonderful about greenery, pinecones and berries tucked in here and there throughout a home! They just say Christmas to me, without the need for so much fuss and trips to the department store. 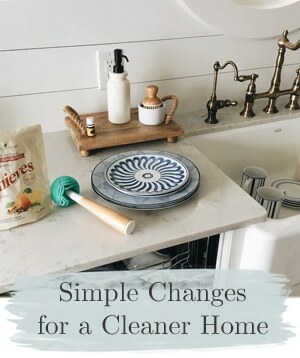 This year with all the remodeling coming to a close, but not yet 100% finished (our kitchen and family room is being painted as I write and that means our whole first floor is a jumble of furniture and kitchen contents! 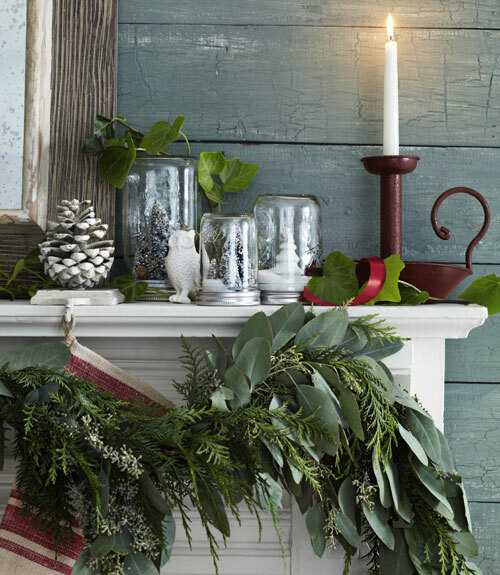 ), I’m thinking it is another good year to keep it simple by adding greenery and touches of holiday sparkle here and there. And of course, to go along with that natural Christmas theme, I’m throwing in a few woodland creatures — just because I like ’em! Where would a natural woodland decor be without its woodland creatures? If you follow me on instagram, you may have seen images of my growing collection of holiday deer, and of couse I recently posted on The Inspired Room about our Woodland Christmas Tree and Gift Wrap & Tags. I think I’m well on my way to a cozy woodland vibe this year. With simple natural Christmas decor, I feel more relaxed. It helps my mind wander off from the hustle and bustle of daily life to a day dream of checking into a beautiful lodge up in the mountains, relaxing by the fire, hot cocoa in hand and watching the gentle snowfall outside. A touch of rustic elegance brings such a warm cozy ambience, you might almost feel like you were on vacation in your own home! Not a bad feeling at all, right? I think I could live with that. So how’s the holiday decorating coming along at your house? Have you started, finished or are you somewhere in between? I’m on a little “out to see” adventure this week in Atlanta, so be sure to follow on instagram for some sneak peeks of my trip! 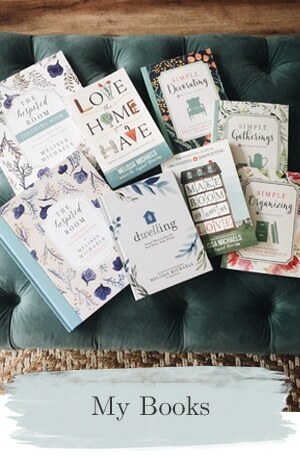 Happy Holiday Nesting! Don’t forget to check out my Christmas Gallery for more decorating ideas! Oh man..you are in Georgia!! Welcome to my home state! My decorating is coming along slooooowly, but it is only the 4th of December. I have to keep telling myself that. I have a lot of half-finished spaces, so if the other halves get done, it will be better. I LOVE your woodland theme…the beauty of nature. Pinecones and boxwood and magnolia are abundant here, so I will be using them too. Hey, Waving at ya from Atlanta! :-) Pinecones, boxwood and magnolia will be GORGEOUS!! Oh yes, going out in the woods to find trimmings to decorate with sounds HEAVENLY!!! What a lovely idea, have fun! 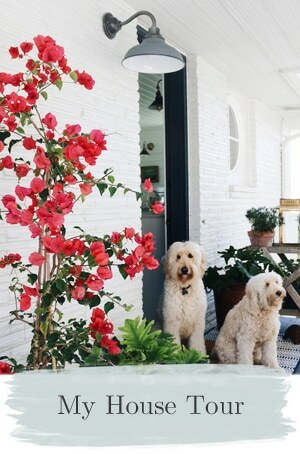 Love cozy, natural decor. Rustic elegance is my style. I’m just starting my decorating for the Christmas holiday. Hope to have it all up this week. I love the natural elements, they look so beautiful..Great touches and great job I love the greens around the deers head. I love the natural elements in all the inspiration photos you selected. 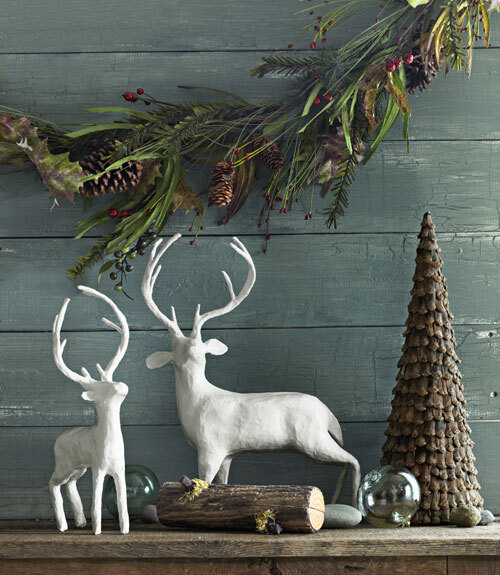 I have just started my holiday decorating and I am definately adding bits of nature in my home this year! Haha! I’m very much in between. And I actually just took a break from working on my latest post and taking new photos because the SUN CAME OUT today!!! 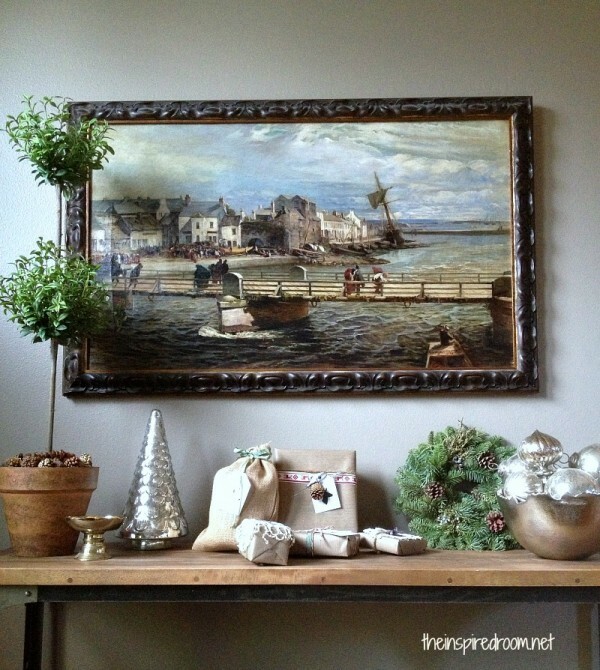 I love your dining room vignette! Peaceful and lovely. Have a great time “out to see”!!! What a tease you are! Well, just yesterday I put away autumn. Then I began cleaning and putting out a few things that didn’t involve the Christmas boxes: pillows, a throw, a Christmas quilt, red candles. I’ve been inspired to use more natural elements, thank you! Done except for the tree. Last year I decided I didn’t want any more fake stuff up (feels and smells awful, plus you have to store it) so I donated it all and now I’m decorating with greens. I bought a couple of wreaths and a bunch of small poinsettias and I’m done. I guess it helps that I only have one renovated room to decorate. Funny, I was just thinking the same thing about simplifying things this year. As I hauled yet another box from the basement, I decided to forgo the garland and lights on the staircase for a simpler alternative. Love the natural elements and plan on using more of them this year. Yep, the decorating is done … and the best part, simply enjoying it all, is fully under way! 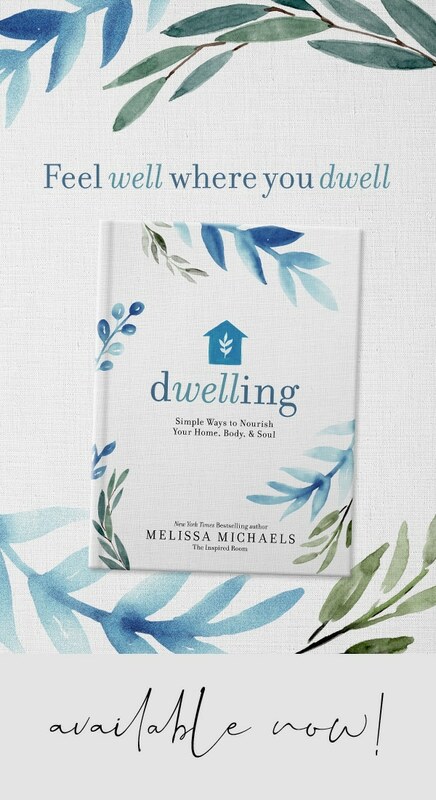 Love your pictures again Melissa! I will follow along on your Instagram documentary. I mentioned you in a post yesterday. Click on the word “shelter” in the first paragraph. All good! 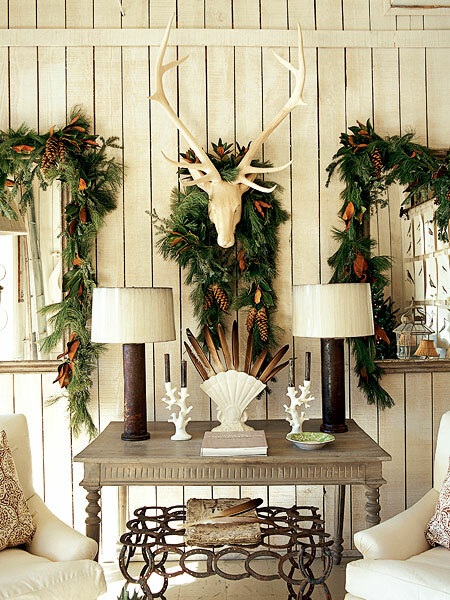 Love the first image with the reindeer and pine cone garland. It’s just beautiful. the amazing wall color adds to the vignette. 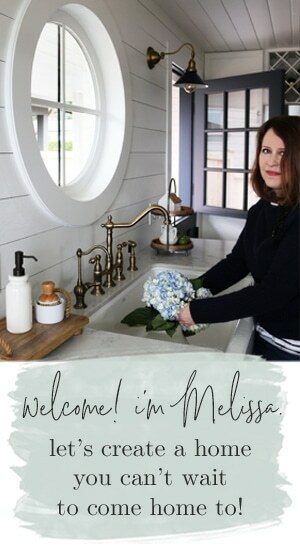 Hi Melissa, I just got to this post tonight, and wanted to tell you that I LOVE the painting in your dining room. Did you get it during your travels? I really like your tablescape, too. Very pretty. 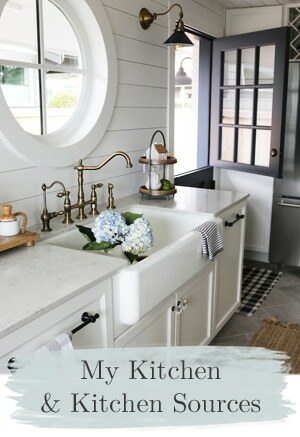 Caught the sneek peek of your painted kitchen. Looking forward to the reveal. Hi Marilyn! There is actually a crazy awesome story about that painting. We actually found it in our old house! It was against a wall, on the floor, in a storage room. When the estate was clearing out the house, we asked if we could buy the painting as we could tell it was original and awesome. They sold it to us for $100. SOLD! We took it to a professional art dealer in Portland who cleaned it up and framed it and appraised it to be worth a crazy amount of money. It was an original signed painting from the impressionist era, by a friend of Monet. It really is a beautiful piece of art, we adore it and never tire of looking at it! Glad you like it too! :-) Merry Christmas and blessings back to you!